Escape to a tropical haven and breathe deep the salty ocean breeze while listening to the soothing resonance of waves gently washing the gleaming white shore. Overwhelm your senses in this exotic paradise overhung by lush green foliage and filled with the fragrant aroma of fresh flowers. Visit Kauai’s southernmost tip for exceptional snorkeling and scuba diving in a sapphire-blue ocean. Discover the distinctive culture, breathtaking landscape and natural beauty of Kauai, Hawaii.Drenched in radiant island sunshine, The Point at Poipu overlooks the secluded and polished sands of Shipwreck Beach. Slip into the sumptuous comfort of a spacious two-bedroom accommodation after a day of seaside activities and exploration. All accommodations offer fully-equipped kitchens, master baths and mid-week housekeeping. 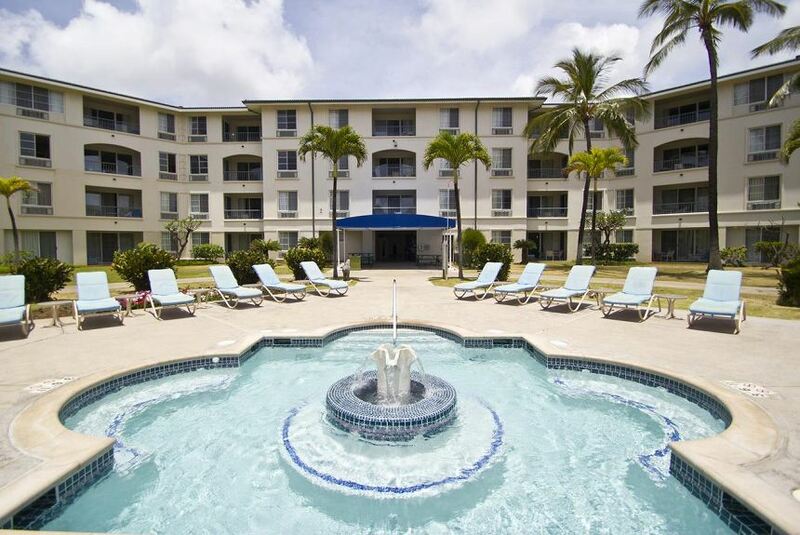 Visit the on-site fitness center, explore the beautiful gardens and atriums or relax poolside and bask in the warmth of Hawaiian bliss.